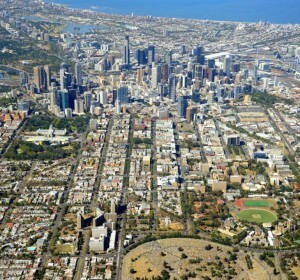 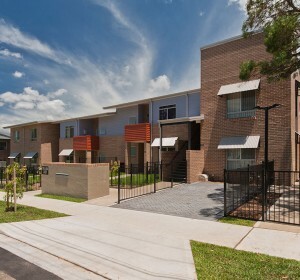 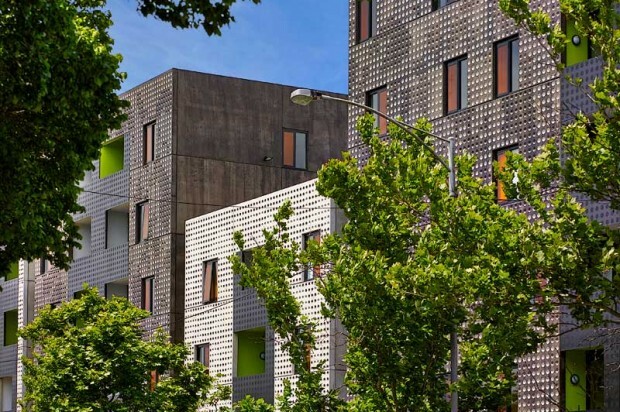 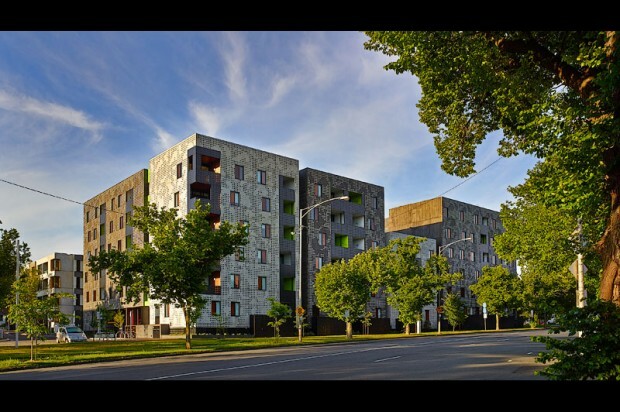 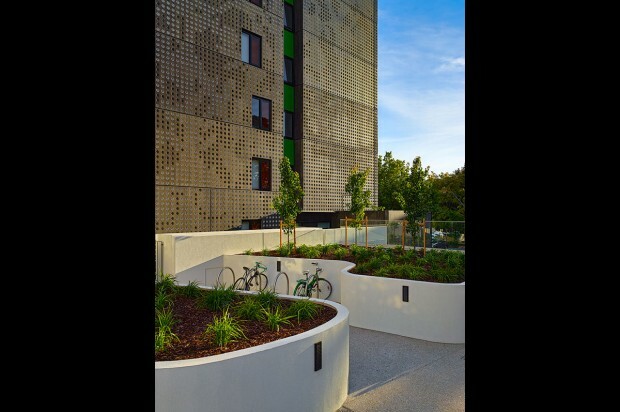 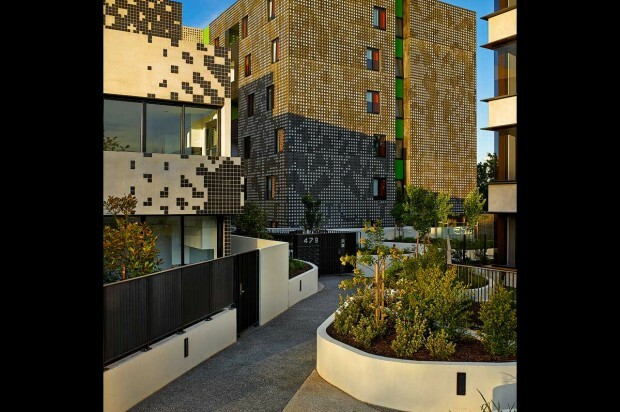 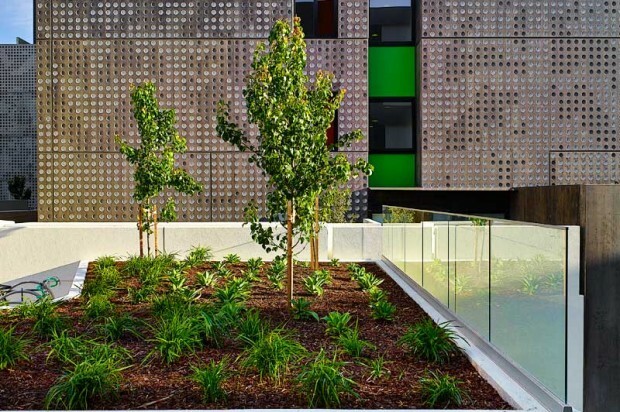 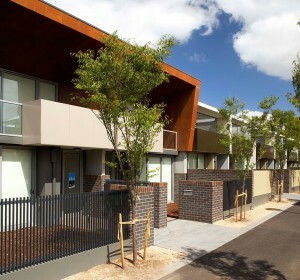 The Living Carlton development includes a six-level Social Housing building developed for the Department of Human Services, Victoria. 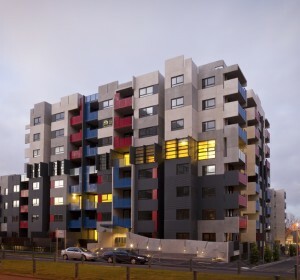 The building forms part of a new precinct that includes three private apartment buildings (Lume) and a pedestrian pathway. 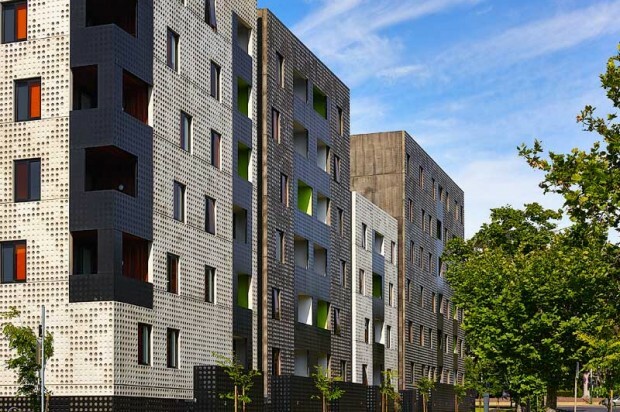 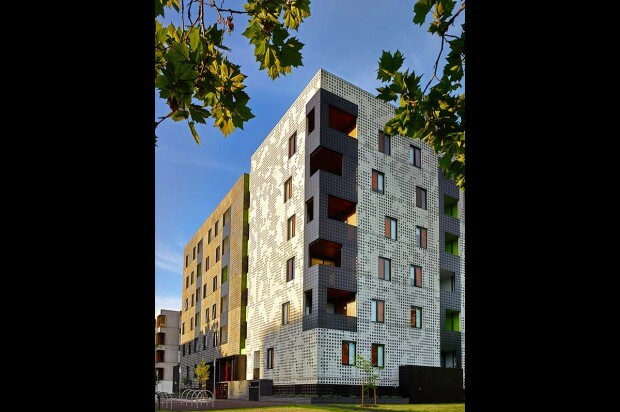 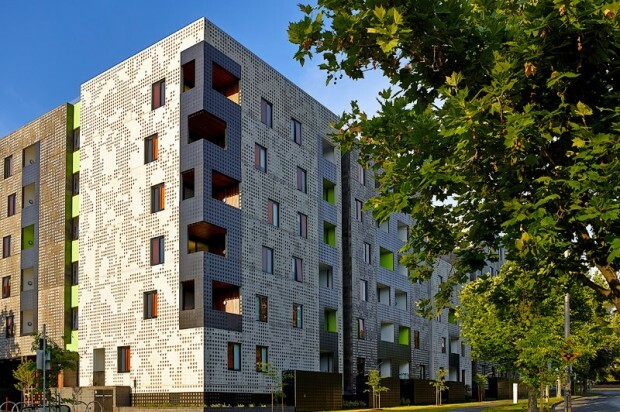 The six-storey building comprises 50 social housing apartments, including a mix of one, two, three and four bedroom apartments. 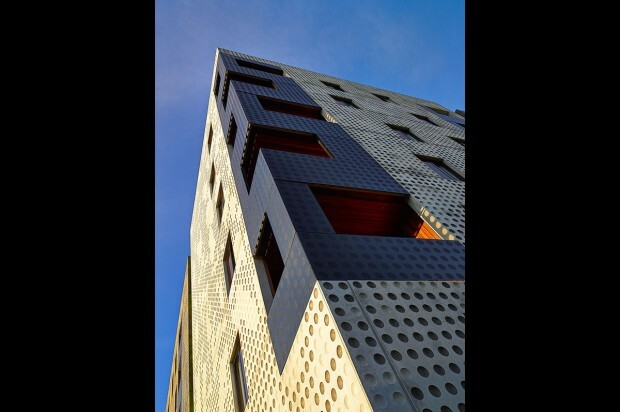 Designed by Jackson Clements Burrows, the building envelope has been articulated by providing dark coloured vertical recesses and staggered parapets to create several distinct vertical forms, which will resonate with the new and existing building typologies. 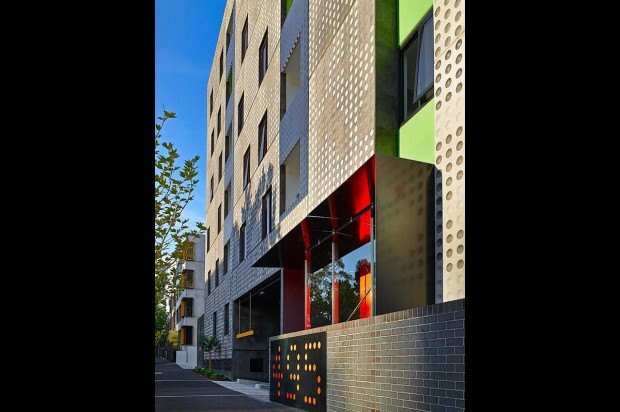 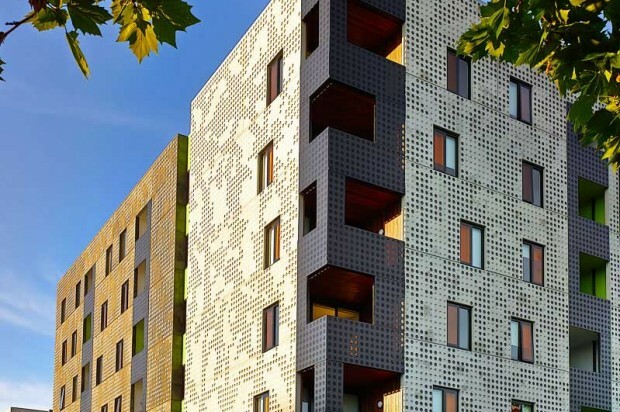 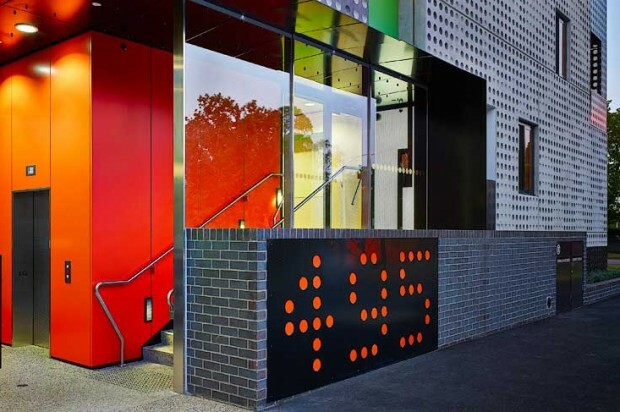 The facade materiality responds to the surrounding site context and heritage and includes patterned and coloured elements, including a mixture of natural and dark coloured concrete textured with circular recesses creating an abstracted pattern inspired by pixilation of an image of an iron balustrade on a Carlton Victorian terrace house. 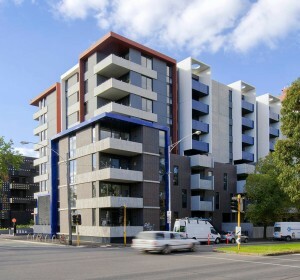 The building was completed in September 2012.